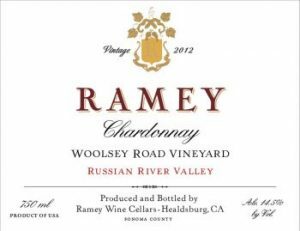 Few winemakers have been as formative in establishing the modern voice of California wine as David Ramey. He teaches us that a great winemaker is an orchestra conductor – a sedulous student of terroir, a loyal and reverent interpreter of the masterful works of nature. As with many of his peers, David’s trajectory toward a wine of his own included studies near and travels far. He began as an enology student at UC Davis, alongside classmates Cathy Corison, Lee Hudson, and John Kongsgaard, studying aromatic development in aging wine. A stint at Chateau Petrus soon followed, founding a base of French winemaking tradition that continues to inform David’s work today. In the years that followed, David was formative in building the legacies of iconic California wineries, including Simi, Matanzas Creek, Chalk Hill, and finally – beside the Moueix family of Petrus – Dominus. White at Dominus, which only released red wine, David began to make his own Chardonnay, first with fruit purchased from Larry Hyde, and custom crushed at Luna Winery, run by John Kongsgaard. David soon left Dominus to build Rudd in Oakville, where Ramey was made until finding a home of its own across the Mayacamas, in Healdsburg, in 2002. These Chardonnays, now made alongside Pinot Noir, Syrah, and Cabernet Sauvignon, introduced California to winemaking techniques now commonly associated with great expressions of the variety: the use of oxidized juice, native fermentation, sur lie aging in barrel, and malolactic fermentations. Ever a student of the land, David continues to engage with new varieties and vineyard sites, now in concert with his children, Claire and Alan, under the Sidebar label. Sourced from Brassfield Vineyard, in High Valley, Lake County, in a unique east-west transverse valley at 1760-1800 feet. Sauvignon-Musque, Clone 530 (2006) and Clone 1 (2001) are planted on Gravely-sandy loam soils – Wolf Creek, Lipoyama and Manzanita. 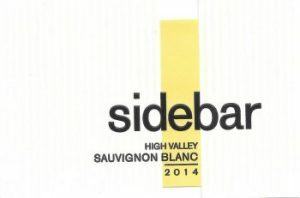 Whole-cluster pressed, native yeast fermented, non-malolactic, in a mixture of stainless steel and neutral oak barrels. Aged sur lies for two months in 46% neutral oak, 39% stainless steel and 15% concrete egg. Sourced from Dutton Ranch’s vineyards (41%), Martinelli’s Laughlin Road Vineyard (19%), four Rochioli vineyards (15%), Forchini (13%), Westside Farms (11%), and Hyde Robert Young (1%). Largely planted on Goldridge Loam, between 1969 and 2006, to clones like UC Davis 4, Wente, and Dijon selections. Pressed whole-cluster, native-yeast and full native malolactic fermentations take place in barrel, with sur lies batonnage. After aging 12 months in 13% new French oak (Francois Freres, Demptos & Taransaud), this Chardonnay was fined and bottled without filtration. 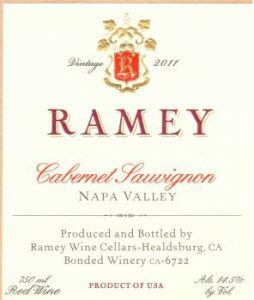 Owned by the Martinelli family and planted to Ramey’s specifications in 2007: Old Wente from Platt vineyard was planted one meter by two meters on Huichica clay-loam. Pressed whole-cluster, native-yeast and full native malolactic fermentations take place in barrel, with sur lies batonnage. 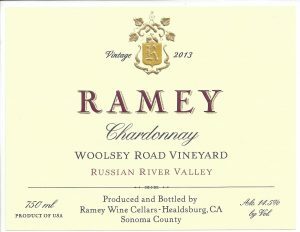 After aging 19 months in 26% new French oak (Francois Freres & Taransaud), this Chardonnay was bottled without filtration. Sourced from Westside Farms (47%), Bucher Vineyard (39%), and Keller Estate (14%); a blend of Dijon selections, Pommard and Swan planted on Arbuckle gravelly loam and Yolo loam alluvial soils. Tank fermented with native yeast and native malolactic fermentation in barrel. 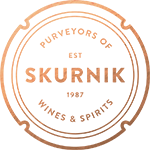 Aged sur lies with monthly batonnage for 13 months in 30% new French oak (François Frères & Demptos) as well as neutral barrels previously used for chardonnay. Lightly fined and bottled without filtration. Sourced from 30% St. Helena, 29% Napa Valley, 15% Oak Knoll, 12% Napa-Carneros, 6% Mt. Veeder, 5% Diamond Mountain, 3% Oakville. Composed of 80% Cabernet Sauvignon, 11% Merlot, 6% Malbec and 3% Petit Verdot. Native yeast and native malolactic fermentation, and rested sur lies for 18 months in 56% new barrels (33% French, 23% American). Non-filtered. Sourced from Oakville (37%), Rutherford (34%), and Mt. Veeder (29%). Composed of 91% Cabernet Sauvignon and 9% Cabernet Franc. Native-yeast and full natural malolactic fermentation, and aged sur lies with monthly batonnage for 23 months in new French oak barrels (Taransaud and Darnajou). Non-filtered.